Oyster Coast Watersports are providing local support for the ASI Instructor workshops, providing a wealth of local area knowledge. Oyster Coast Watersports can also provide on-the-job practical experience. Your SUP instructor certificate will not be issued until these are received. 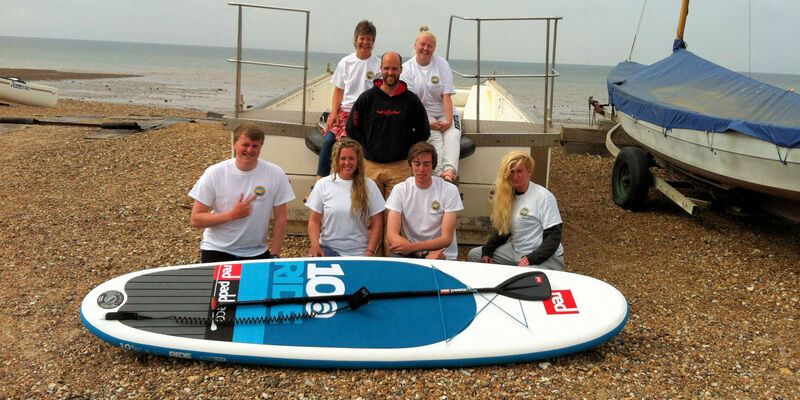 ASI delivers the ASI SUP Water Safety Rescue Course. (half day). Complete the enrolment form. Enrol in the combined courses for: SUP Wise for Instructors Foundation Skills and SUP Rescue, and receive combined course discount. (delivered on 1 day at the same time as this Instructor course). There is a range of accommodation in walking distance. If you are travelling and don’t have your SUP board or SUP gear, you can hire it from Oyster Coast Watersports. Whitstable is a seaside town on the north coast of Kent in south-east England. About 60 miles (1 hr 15 mins drive east from London). It’s famous for its Native Oysters that are collected from the local area at low tide. The training is held right on the water front. There is a lot of accommodation and cafes nearby. It offers great paddling conditions, in calm and protected waters.